8-disk series that looks at popular phenomena like U2, Watchmen, Johnny Cash, Westwing and Dostoyevsky. Over four nights, this series looked at popular music, movie and literature phenomena like U2, Watchmen, Johnny Cash, Westwing and the classic works of Dostoyevsky. This series will be great for church groups or home groups who want to tackle what it means to engage with the culture in which we live – without being swallowed up by it. 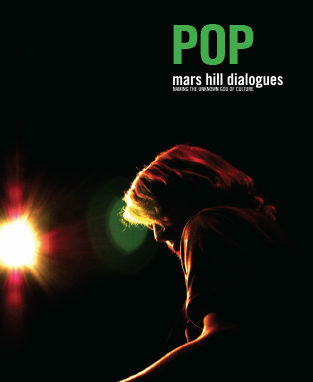 Special Note: Laidlaw College has decided to give away the POP DVD series as a teaching tool, free of charge. A shipping fee (NZ$8.00 nationwide and NZ$12.00 overseas) will be charged however, and orders will be limited to one set per person. If you wish to make a donation towards production costs, you may do so when ordering your DVDs. If you have already purchased your DVDs and have not yet received them, we will refund your payment, minus the NZ$10.00 shipping fee.